How many times do you rewrite your book descriptions? Normally when I put together a description for one of my books I go on a search and explore mission. I’ll grab a couple clips here, a couple of lines here, and then I will write a few sentences to tie them all together. In the past, it’s been a pretty good strategy for me, and it’s sold a lot of books. 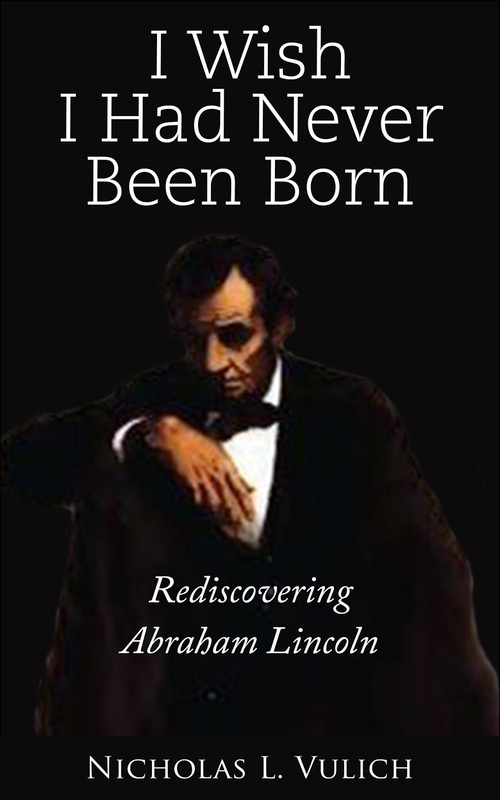 When it came time to release my newest book, I Wish I Had Never Been Born: Rediscovering Abraham Lincoln, I did the same thing. But, after about twelve hours I began to have second thoughts. One of the major ones concerned my title. It’s an obscure quip from Abraham Lincoln, and one I was pretty sure readers would have a hard time understanding. After all, Lincoln is known as one of our greatest war Presidents. He was quick witted, and more often than not humorous, so many readers probably would find their selves asking what my title was all about. With that thought in mind, I decided to scrap everything I had so far, and use my introduction to frame the background behind my title. I think by doing that it answered a lot of reader’s questions, and helped them decide to maybe read this book, if for no other reason than to see what else they could learn about this man named Abraham Lincoln. As authors, we’re always trying to promote ourselves and do what we can to put our works in front of a new group of readers. The problem is a lot of authors take the shotgun approach. They blast their message out there to everyone hoping a few people will act on it. It’s possible one or two people will take a peek and maybe even drop $2.99 to buy your work, but odds are it’s going to miss its mark with most of the people you broadcast your message to. The thing is you’re casting too wide of a net. When you target everyone, you’re likely to miss the folks who would be most interested in purchasing your book. What you need to do is develop a brand statement. You should be able, to sum up what you’re all about in one sentence. In my case, I write short easy to implement solutions designed to help my readers with e-commerce problems related to selling online – specifically on eBay, Amazon, Etsy, and Fiverr. That’s a good start at my brand statement. Overtime I've narrowed it down even further. I wanted to make it as easy as possible for readers to understand what I’m all about. KDP Free Days are the old stand by for launching your Kindle book, and for reinvigorating a book with sluggish sales. There’s a lot of talk among authors that free has lost its allure, and books are no longer enjoying the sales bump they used to enjoy after a great free run. Part of that is true, but it doesn’t necessarily mean that running a free promo can’t help your book. It just means you need to better understand what results you can expect to receive from your free run. If you’re launching a new book free is still one of the best ways to get the word out there and to get people reading and talking about your book. If you’ve already run through two or three KPD Free Promos free may no longer be the best option for you. One, because with so many new books being added to the Amazon catalog every day it’s getting harder and harder to get noticed; and two, with recent changes to how free books are counted towards sales numbers a free promo (even a wildly successful one) isn’t going to give your book the sales bump you were hoping for. KDP Free Days or Kindle Count Down Deal - What's all the fuss about? There seems to be a lot of confusion about how to best use the Kindle Countdown Deal. Some authors don’t understand how to use it; some worry about it not being available in all areas; others look at it as a watered down work around for KDP Free Days. A quick read through of Amazon’s description will answer many of the concerns authors have about using Kindle Countdown Deals.